She is doing everything in her power to secure her children's futures in the modelling industry. 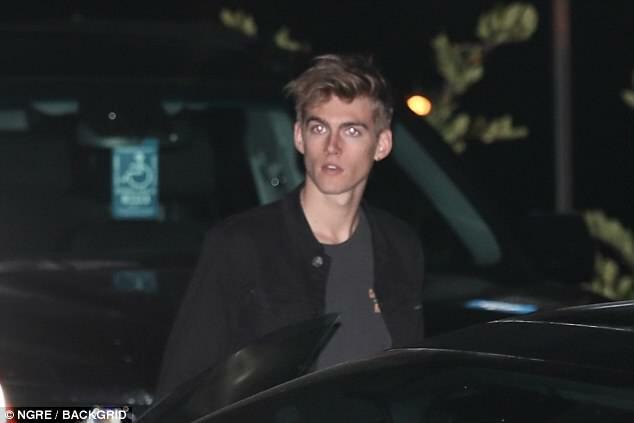 And Cindy Crawford, 52, sauntered out of Nobu, in Malibu, California with the rest of her family following her lead on Friday. Following her recent admission that she had insecurities about the longevity of her modelling career, she stayed true to the catwalk trends in her PVC garment. The trendy garment hugged every inch of her honed supermodel physique, which is normally plastered across the covers of magazines or paraded on the runway. As a model for many decades, the mother-of-two had an air of confidence about her as she enhanced her God given good looks with a natural touching of make-up. Cindy felt the breeze to the evening air as she protectively wrapped her arms across her body, her sweater with billowing sleeves evidently not enough to keep her warm. 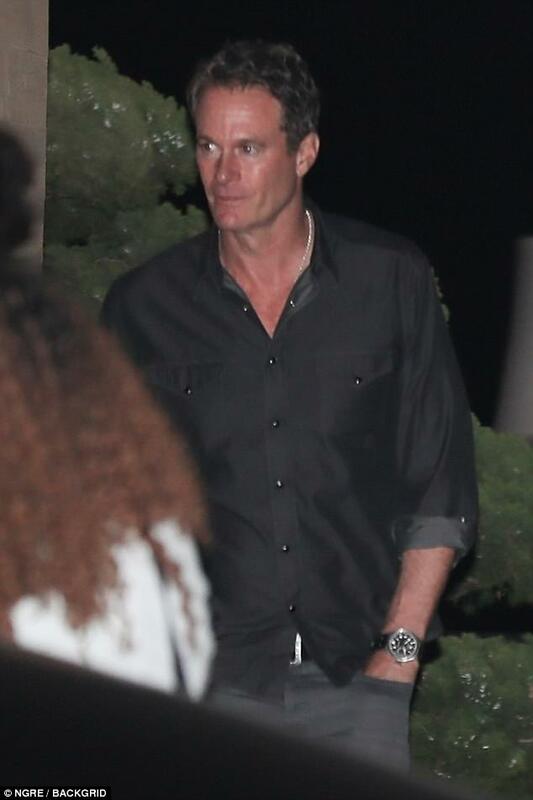 Rande Gerber kept up with his gorgeous model wife, who he has been happily married to ever since the May of 1998. The American businessman flashed a wad of cash as the showbiz family made their way home from the swanky eatery. Kaia and Presley didn't miss out on the family affair, with both the Gerber children wearing casual ensembles. First married to Richard Gere from 1991 until 1995, she found love again with the father of her kids Rande and they were married in 1998. Cindy has inspired her two children Kaia and Presley to follow her star-studded footsteps into the great and the good of the modelling spheres. Naturally, the supermodel has used everything in her power to get the pair modelling work through her own contacts and devices. However, Cindy confessed she hopes Kaia and Presley will be able to go onto make their own way in the world — but she insisted neither of them are ready yet. She told TOWN&COUNTRY magazine in April: 'They have agents, but I would say for the first year, for sure, everything was 100 percent through me. 'Eventually I want to empower them to be in charge of their own careers but they're not ready for that yet. While she is helping her children make their break in modelling, Cindy admitted her own insecurities in her twenties about the longevity of her career in the industry.